GREAT FOR CD�S & DVD�S, COMPUTER BACKUP & PHOTO DISC STORAGE! Stylish Leatherette Zippered CD/DVD Case. 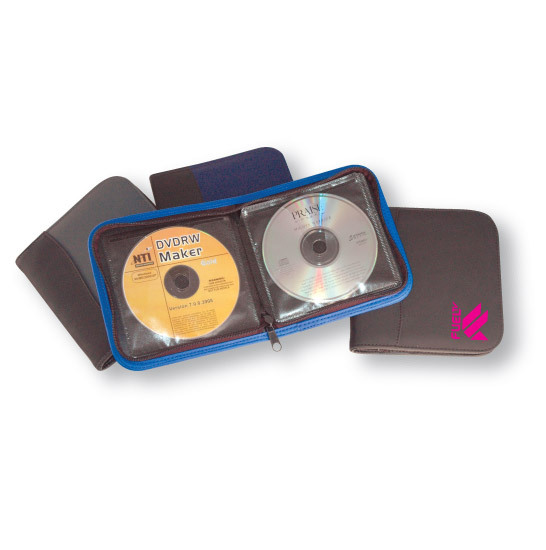 Anti-static clear pouches hold 12 CD�s or DVD�s. Double-stitch finishing for long-lasting durability.